Here’s how you can downgrade macOS 10.14 Mojave Beta to macOS High Sierra right now on your Mac. When excitement gets the best of us, we tend to try out beta software without giving it a second thought. Only a few hours later we realize that things aren’t as stable as they should be. That’s the point you also realize that you should revert back to the publicly available version of the software until a more stable build is available in a couple of weeks. So, if you installed macOS 10.14 Mojave Beta on your Mac and are thinking of going back to macOS High Sierra, then we’ll help you out right now. Note: Just like any downgrade process, this one will erase everything off your device as well. Take a backup of everything using an external medium before proceeding with the entire process. There are two ways you can go about the installation: you can either create a macOS High Sierra USB Installer and do a clean install or you can download the OS using the built-in Internet Recovery. If you have a fast enough Internet connection and a little time on hand, then I would highly recommend going for the latter. You can find out more details on it by going here: How to Clean Install Latest Version of macOS Without a USB Drive. Going the old fashioned route? Then you might want to consult the following guide: How to Clean Install macOS High Sierra – Tutorial. I used to be a big fan of the USB installer method until I realized how much time you can save using Internet Recovery. The only downside is that you need to have a fast Internet connection if you want to go through with everything real quick. Even still, it saves you from the hazard of using USB drives altogether. The USB Installer method has a particular advantage as you can store the USB for later use whenever you require it. Even if you don’t have a fast enough Internet connection, you can just whip out the USB and install away at your discretion. 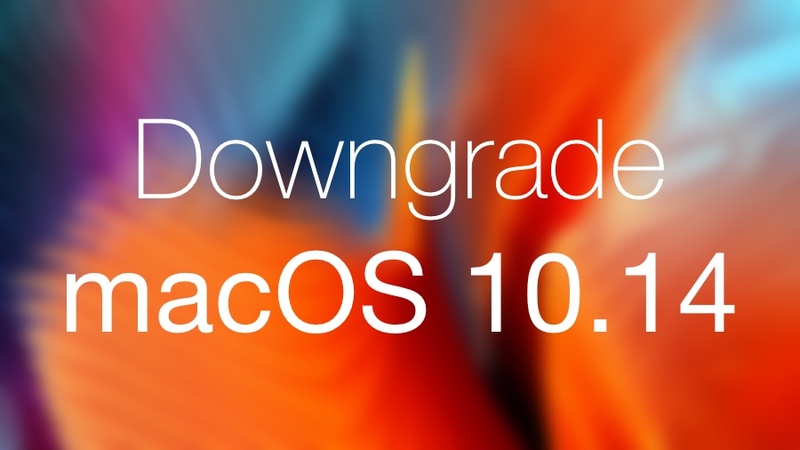 Downgraded from macOS 10.14 Beta? Do let us know in the comments section below why you did so.